where we specialise in customising your dream holiday according to your specifications while taking care to provide you with value for money. Let Mozambique Tourism provide you with the perfect holiday experience in this exquisite paradise. 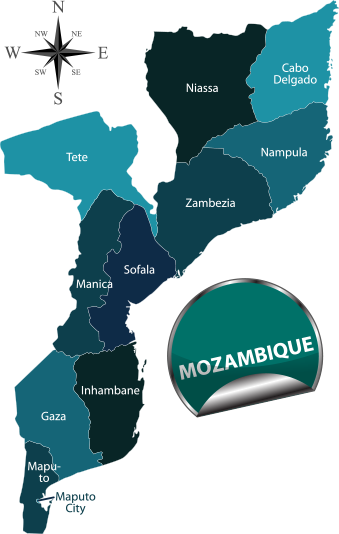 We are able to offer a variety of Mozambique accommodation options throughout all areas of the country, including Maputo, Ponta De Ouro, Bilene, Xai-Xai, Inhambane, Vilanculos, Bazaruto Island, Benguerra Island, Pemba and the Quirimbas Archipelago. With over 13 years of experience in providing incredible travel holidays for all who wish to bask in the Mozambican sun, we at Mozambique Tourism thrive on delivering the best holiday package possible to each of our valued clients. Whether you are the adventurous type or a person who is after pure relaxation, we have your interests at heart and will endeavour to build the perfect holiday based on your wants and needs.We offer the following types of accommodation: Self-catering, Catered, Guest Houses, Bed & Breakfast, 3, 4 and 5 star hotels, Lodges and Resorts.